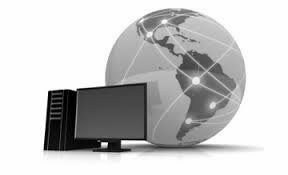 JE Web Design, in partnership with The Virtual Network Company (TVCNet), has been providing clients with fully-managed web hosting & email services for over 15 years. Our servers are co-located in the Hurricane Electric Network Operating Center in Freemont, CA, and managed 24/7 by a San Diego-based server administrator team second to none. What makes our web hosting services superior to the low-cost, unlimited disk space, marginal support web hosting providers is the fact that we provide personal support, in every sense of the word. Web hosting services are readily available. The customer service that comes with those services is often lacking. Reliable, fast, well supported Internet services are what we offer, and we’ve got the satisfied customers to back up that fact. Personal Support on a First Name Basis!